Introducing the Best in Slot Blog! I’ve been working hard for the last few weeks on some major site upgrades which have been long overdue, and I thought I would document them here so you can see exactly what’s changed and what the plan is going forward. I built and launched this site less than two years ago as a personal project of mine which I was working on in between work, family life, and of course – the Runescape grind. Due to all my commitments, I didn’t have the time needed to make some site upgrades that I had been planning, and while I kept my Runescape item database up-to-date with all the new items, bug fixes and new features totally fell off my radar. A couple of weeks ago I decided that needed to change, so I took some time off work and decided to focus on a long list of things I had built up in our public Trello – both on my own and with the help of you guys who have been steadily reporting bugs and requesting features both through email and on twitter. Anyway, I’m finally at the point where all the hard work pays off, and with all the site improvements now launched – I thought I’d talk a little about each one. Stab, Slash and Crush attack will fallback to Strength, which will then fallback to Prayer. Magic Damage will fallback to Magic, which will then fallback to Prayer. Ranged Strength will fallback to Ranged, which will then fallback to Prayer. Strength will fallback to Slash, which will then fallback to Prayer. An example of a Strength calculation for a mid-level character. With the addition of the above fallbacks, using the calculator should now give you a much more complete set of gear, especially when lower stats limit the amount of gear you can choose from. If you want to try it out, please head over to the gear calculator and let me know what you think. A long requested feature for our OSRS Gear Compare tool and OSRS Gear Picker tool has been an easier method of gear selection, so I have gone ahead and added a ‘search as you type’ drop-down. This means rather than slogging through hundreds of items, you can just type a couple of letters and whatever piece of gear you’re looking for will show up. The new Gear Compare interface, with combined weapon and shield slot. You can also still generate a unique sharing link via bitly for the gear compare tool and the gear picker tool and share with your friends or clanmates – very handy when trying to gear up for a PK trip or some bossing! If you’re not aware, GE Tracker is an OSRS tool built for players looking to view advanced Grand Exchange and Item price data. A lot of players use it as a tool to easily make GP by ‘flipping’ items on the GE and it’s immensely powerful. 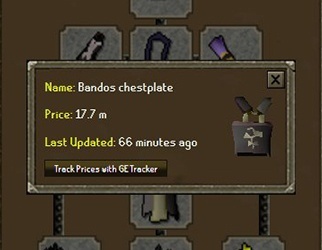 Well we have now integrated the GE Tracker API across the entire site, so whenever you’re looking at a piece of gear, you can click the little ‘i’ to get a real-time GE price-check, as well as a direct link to the item page on GE Tracker. Without going into too much detail, the previous technology stack was making it more difficult than I would have liked to make changes and deploy updates to the site. The site is now running on WordPress, which will make it easier and quicker to update, and will also allow me to build up a team of staff who can log in and work on the site with me. More on that below. A writer, with an intimate knowledge of the game. Someone to blog about upcoming gear, changes to meta, bossing and slayer. 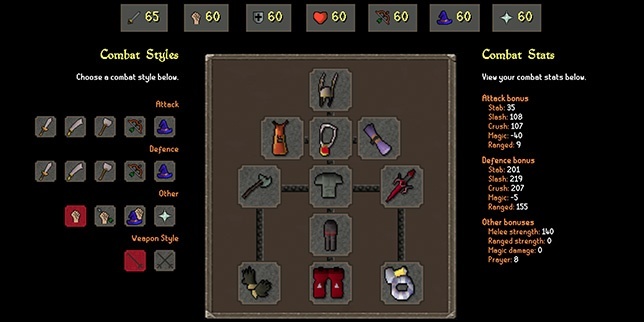 An editor, with an intimate knowledge of gear and inventory setups for all different styles of bossing and slayer. If you’d like to help out, please get in touch via email or twitter and we can talk! With that said, that’s about everything I have for now. If you have any feedback on the site, please feel free to send it my way. Bug reports are welcome, and if you have an idea for a feature I’d like to hear those too.